The Los Angeles Dodgers slugged three home runs, with each coming at the expense of Bartolo Colon, in a 12-5 rout of the Texas Rangers. 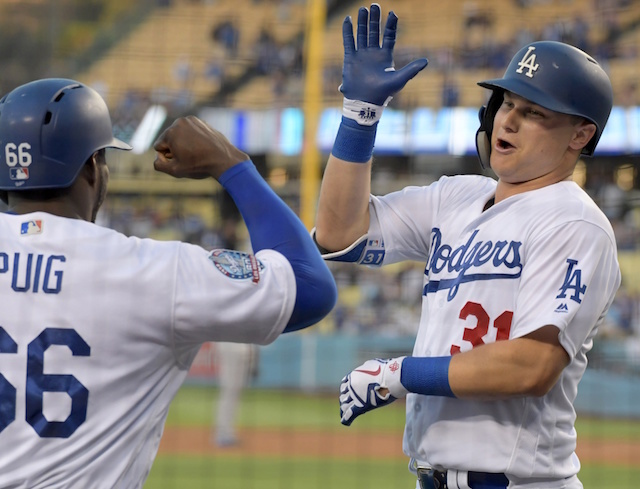 Joc Pederson, Max Muncy and Yasiel Puig all hit a homer, which extended a recent trend for the trio. 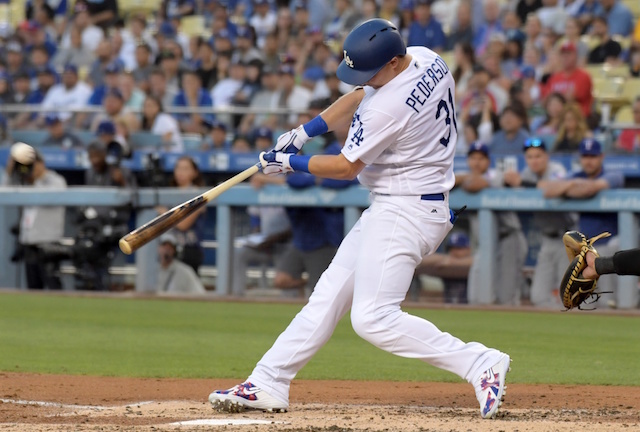 Pederson’s two-run, line-drive home run in the the second inning extended the Dodgers’ lead to 3-0. After Pederson had just one home run in his first 151 plate appearances this season, the homer off Colon was his seventh in the past eight games. Pederson finished 3-for-4, adding two doubles. Muncy’s solo home run pushed the Dodgers’ lead to 4-2 in the third inning, and gave him a fourth consecutive game with a homer. He also took the team lead with 13 long balls this season, breaking a tie with Cody Bellinger. Puig’s homer put the Dodgers ahead, 6-2, and marked the start of a seven-run fourth inning. The home run was his eighth in 29 games since returning from the disabled list. Puig was held without a home run in 96 plate appearances over his first 24 games. Caleb Ferguson had some shaky moments in what was just his second career start but the left-hander nonetheless fared better than he did in his MLB debut last week. Ferguson had some fortune on his side as Colon came up to bat in the second inning with the bases loaded. Colon hit back softly to the mound, allowing Ferguson to escape the jam. The Rangers broke through in the third inning on Adrian Beltre’s RBI single and Joey Gallo’s groundout that brought in a run to cut the deficit in half at the time. Ferguson retired the side in order in the fourth to end his outing on a positive note. Yimi Garcia allowed a solo home run in the fifth inning, but Edward Paredes tossed a scoreless sixth and Daniel Corcino allowed two runs in the ninth before converting a three-inning save.